Use the following resources as you work with teachers to enhance and grow Guided Reading in their classrooms. Reflective practitioners think deeply about their instruction — both the content and the implementation. 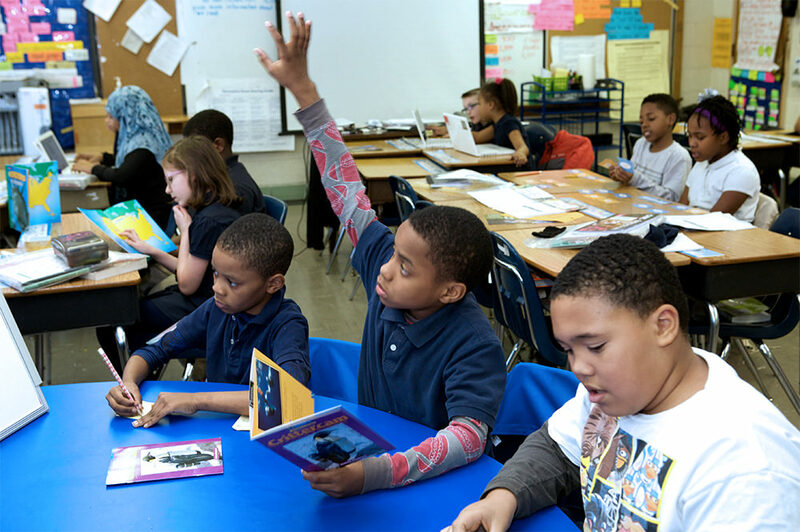 Use these questions to guide your conversations with a teacher before and after a Guided Reading lesson to enhance the lesson and help grow a teacher’s practice. How did your organize your groups? What formal (DRAs, etc.) and informal (conferring notes, etc.) data helped you to determine the group members and size? Are the groups flexible? Do they change frequently in response to new information about children’s needs? What is your primary objective for this lesson? Why did you choose this objective? How will you explain it to the children? What routines have you taught children to use during Guided Reading lessons? For example, how do children hold their books before reading, where and how do children read so that you can listen in to one child at a time, and how do they prepare for and participate in after reading activities? How will you introduce the book, in addition to stating your primary objective to children? Will you review any vocabulary to prepare children for reading? How will you demonstrate or model your primary objective before children begin to read on their own and practice using it? Will children be reading the entire book today, or will you ask them to stop at some predetermined point? What will you ask them to do if they are done reading before their group mates? How will children sit and read so that they are not distracted by each other and so that you can listen in to each reader separately? How and where will you take notes as you listen in to each child read? What questions will you ask at the end to engage children in discussion and support their comprehension of the text? How will you reinforce the teaching point at the end of the lesson, and connect it to children’s independent reading? How will you support the rest of your class to work independently while you meet with this group? What did you notice about individual children as you listened in to their reading? How did you record your observations? How did you support individual children’s word solving strategies when you were listening to them read? Did you notice any patterns of strengths or needs in word solving? How did you support children’s comprehension at the end? What did you learn about your children during this lesson? How will this inform future Guided Reading lessons? 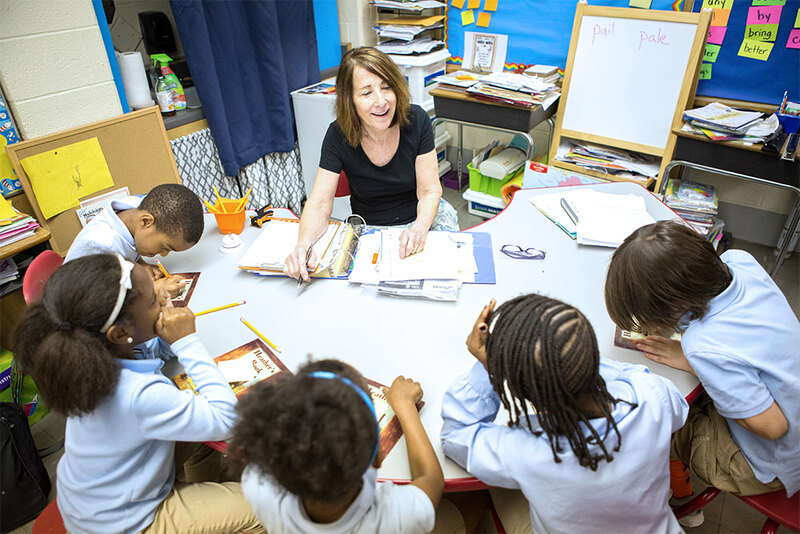 Reflect on the classroom culture during the Guided Reading lesson. Were the children taking care of themselves and others in the classroom while you met with this group? Are there any new procedures or anchor charts that you need to review in order to help the rest of the class work independently during Guided Reading? When you are working with a teacher on a lesson, it helps to have a specific viewing lens to focus your conversation. Here are some ideas for viewing lenses for Guided Reading. How often do groups change? Is the text appropriate for the group and objective? How does the teacher choose the text? How does the teacher prepare children to read the book? Does the teacher explicitly state the primary instructional goal at the beginning of the lesson and prior to reading? Does the teacher demonstrate use of the skill or strategy prior to children reading the book? How does the teacher preview the text (thorough, detailed, brief or minimal depending upon GR text level)? What does the teacher do while children read the text to themselves? Does the teacher “listen in” to one reader at a time? Does the teacher notice and name good reading behaviors employed by the child after listening in? Does the teacher encourage, compliment, and support active word solving on the child’s part (rather than telling unknown words)? Does the teacher make one suggestion for improvement and have the child practice this behavior? Does the teacher take anecdotal notes while listening in? Do other children read to themselves at their own rate? Does the teacher ask children to finish and then reread, rather than sit and wait for other group members to finish? How does the teacher finish the lesson? Is there a brief mini-lesson connected to the primary literacy objective? Does the teacher guide children to revisit the text (to find evidence, problem solve words, or deepen understanding)? Does the teacher facilitate discussion of the text by children? Are children given opportunities to work with the same text independently, with a partner, or as a group after the lesson, either to reread, respond, or create something to share with the class? Great resources for me to use with my teachers. This is a great resource for coaching conversation. Thank you.